For many years, the recommended social media marketing platforms for attorneys have been Facebook, Twitter and LinkedIn. Facebook is generally thought of as the place for firms to make emotional connections with potential clients, Twitter as the network for lawyers to establish themselves as thought leaders, and LinkedIn as the spot for attorneys to meet other attorneys and build up referral connections. But, there’s another secret social media weapon that most lawyers don’t realize they have at their disposal. Somewhat ironically, this secret weapon currently has over a billion active users each month. Yes, we’re talking about Instagram, the same platform that’s long served as the preferred social sharing spot for teens and tweens. For many years, Instagram didn’t seem to be worth lawyers’ time, because their audience simply wasn’t there. But, just like Facebook’s audience has grown to be much more diverse in age, so has Instagram. “Currently there are a lot of teens using Instagram, but the platform is seeing a steady increase of adults engaging in the platform,” said Amy Juers of Edge Legal Marketing in a recent social media article on the Answering Legal blog. 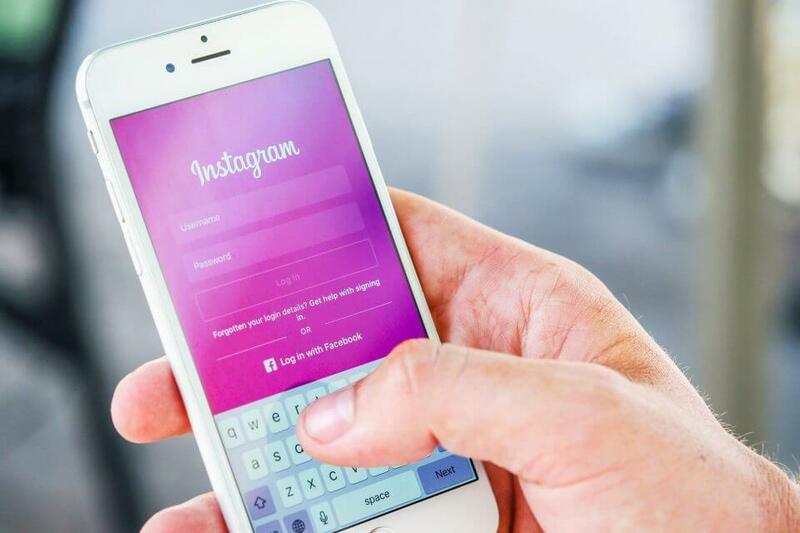 As more and more adult consumers have begun using smartphones, it’s only natural that they have started experimenting with Instagram, a social sharing app built specifically to be used on mobile devices. With a healthy mix of people from all different age groups now on the app, law firms should make it a priority to start using Instagram. Recruit new talent to their firm. Stay engaged with former clients, that might want to use their firm again. Help build their social presence and catch the attention of new clients. 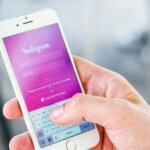 In this blog post, we’ll explain what law firms should and shouldn’t be doing with their Law Firm Instagram accounts, how they can go about accomplishing the three above mentioned goals through the platform. After creating a business account on Instagram, the first thing you’ll want to do is address your bio info. First off, make sure to include your company logo as your bio picture, and make sure that the image is properly sized. You’ll be given the option to add a one web link to your page. According to Hootsuite, 75 percent of Instagram users like visiting a website after looking at a brand’s post. So make sure a link to your law firm website, or a relevant landing page for your firm’s site, exists at the top of your page of your account. Next, you’ll be given the option to write a brief bio for your account. Here you’ll want to include either a tagline for your firm, or a short description of what your firm does. This is also a great place to add relevant hashtags, that might bring more users to your page. Finally, make contacting your firm an easier task for Instagram users, by adding buttons for people to both call and email your office. Most consumers will want to do a lot of online research before contacting a lawyer, but some consumers will prefer to learn about a firm by talking to a real person. Having click to communicate buttons readily available for customers on your page, makes it more likely they will decide to reach out to your firm. Instagram is unfortunately filled with a massive amount of fake and fraudulent accounts, and because of this, consumers will always be a little wary when visiting a new page for the first time. Don’t give them further reason to question your account’s legitimacy. First off, your account name and username should properly reflects your firm’s brand. They don’t necessarily have to be the same, but unless you’ve marketed yourself under a certain nickname, you’ll probably want to just keep things simple here. “Lawyerguy40892KL” isn’t going to cut it here. Also, while hashtags can be your friends, using too many hashtags or irrelevant ones can send users running straight towards the report account button. In addition, make sure everything in your bio is spelt correctly, and that the website link you choose isn’t broken. While we’d all like to believe that consumers are always focused on hiring the best lawyer, the truth is that they often just end up hiring the lawyer they like the most. The good news is, Instagram is a great place for your firm to let its hair down a little and show off some personality. It’s a place for lawyers to show off their human side, and alleviate some of the stress the average person has about dealing with legal professionals. Outside of just posting about office parties, you’ll want to share images and stories that showcase day-to-day life at your office. Post about the charitable causes your firm supports, alongside images of your staff at charity events. Post about new softwares and tools that are helping your firm better serve clients. Share stories about team members that are invaluable to your firm’s success. We’ve also heard that people respond well to pictures of animals and babies, so if you do have any adorable tiny visitors to your firm, it might be smart to document that visit. While making yourself approachable on Instagram should be a goal, you’ll need to carefully toe the line between coming off as personable and amateurish. Sure you’d like to come off as the lawyer clients can have a beer with, but posting a picture of yourself actually chugging a beer should be avoided. After all, you still want these people to hire you as their lawyer after liking your post. You’ll want to approach posting on Instagram in a similar fashion to the way you’d approach meeting a significant other’s parents for the first time. You want to be engaging, warm, interesting, and charming, while avoid giving the impression that your vulgar, crass, obnoxious, and irresponsible. Anything you wouldn’t say to a potential future in-law, you shouldn’t post on your firm’s Instagram account. Why take the time to make videos for your firm’s Instagram account? Well according to data shared by Biteable, mobile video consumption is rising by 100 percent every year, and people are 1.5 times more likely to watch video on their mobile phones. Since Instagram is in fact a mobile app, these statistics would seem to be worth paying attention to. Perhaps the better reason for why your firm should be generating Instagram video content is that there are few better ways to show off expertise and make a client really remember you. Share a video of a lawyer from your firm addressing a certain legal topic or recent news story relevant to your firm, and you’ll likely be surprised by the amount of people that watch all the way through. You’ll want to start your videos by sharing (or at least teasing) the most important information regarding the subject you’re going to talk about, as grabbing the viewer’s attention during those first five seconds truly means everything. Remember you’re not building up a case to a jury that has nowhere to go. In this situation, the jury has the ability to swipe right past your argument. As far as the length of your videos go, they can now be up to 10 minutes long, as you can now upload videos to Instagram TV, and offer a minute-long preview of them in your timeline. After a minute goes by, viewers will be given the option to continue watching via IGTV. Even with this tool being available, you’ll probably want to keep firm videos to two or three minutes max, unless you have a really compelling story to tell. This one is likely pretty self-explanatory. Sharing videos with shaky images, distracting background noises, unexplainable jump cuts, or a lawyer tripping over their words will leave a really bad impression on potential customers. If you’re going to do video, do it right. Get the proper lighting, audio, and tripod equipment, and take the time to create great quality videos. If you don’t have time for that, bring in professional video marketers to do it for you. Sure it may cost a bit in the short-term, but quality videos can be used in a lot of places by your firm, and can end up being a rewarding long-term investment. If online reviews have taught us anything, it’s that consumers trust the opinions of their peers a lot more than they trust what businesses have to say. Before a modern consumer considers using your firm, they’ll probably want to hear from other people that have used your service first. So why not put your viewers at ease, and share thoughts from your former clients on your Instagram account. Has your firm accumulated a number of five-star reviews? Well put those reviews into nice looking graphics, and share them on Instagram. It’s also worth seeing if some of your former clients would be willing to go on camera, and talk about how your firm was able to help them through a tough time. For those clients aren’t comfortable talking in a video format, ask if you can share a photo of them with a member of your firm, with a caption detailing their experience with your firm. Everybody lies on Instagram, right? Many will use the platform to give off the impression that their lives are incredibly exciting, even if the truth is they spend most nights curled up on their living room couch watching Game of Thrones. While a little sad, this type of behavior isn’t morally objectionable. Exaggerating about your firm’s successes on the platform, now that’s a different story. Just because Instagram is somewhat of a casual social platform, doesn’t mean you can be casual with the truth about your law office. Share a story about a former client with false details, and it may later end up getting you in hot water. You may think a former client may never see your Instagram posts, but you’d be surprised how much time people spend snooping around on their smartphones. And please, don’t go asking a former client to lie to make your firm look better. This type of behavior will almost always come back to bite you. Before deciding to create an Instagram post, you’ll want to consider whether it’s the right time to be sending out that post. For example, the time of year will often dictate the topics you post about. Accident attorneys may find that posts about school bus safety receive a lot more attention in early September, than they do in mid-July. Family lawyers may see that posts about surviving family gatherings get more likes in December than they do in March. Of course the calendar is not the only thing to consider when it comes to the issue of timeliness. You’ll want to stay glued to the news as well. Sometimes news stories will inspire you to create a post about a certain topic. If a story comes out about a senior citizen being mistreated at a nearby nursing home, elder care lawyers may want to jump into action and create a video addressing the issue. Other times news events will (or at least should) stop you from posting about certain topics. You don’t want to be the lawyer sharing pictures from an office beach outing, while news about a hurricane is dominating the national news. Post more than a few times everyday, and you’re likely to get unfollowed. Simple as that. Create a proper content posting schedule (using a scheduling software like Hootsuite to help the process) and pace yourself. Many lawyers will be terrified to give away even an ounce of free legal advice on social media. Those lawyers should keep in mind that establishing value is necessary to win over new clients via social channels like Instagram. Plus, offering tips on Instagram is just a way to get clients through the door. No consumer is going to choose to represent themselves in court based on a few tidbits they came across on their Instagram account. They’ll still need your help. Another thing to keep in mind is that if a consumer doesn’t get legal guidance from you, they’ll likely just get it from one of your competitors. So you might as well show off expertise to clients now, so that it’s your firm they end up paying when it’s time to go to trial. Doing an “ask me anything” post in an Instagram story works well for a lot of businesses and influencers. Not for lawyers. Lawyers will want to stick to providing general legal advice on their social media channels, rather than addressing specific inquiries. If a client does ask you a specific question, respond by telling them to call into your office to have a conversation. If your office finds that it’s getting the same question from a number of different clients, you may find it worthwhile to make a video post addressing that question. But, don’t answer any direct questions from users on the platforms, as they might end up blaming you for later, if the advice you give them doesn’t pan out. One thing we haven’t addressed yet in this piece, that most lawyers likely won’t be too happy to hear, is that it takes time to build up a real Instagram following. It may take several months of posting, before your firm starts reaping real rewards from being on the platform. One way to speed up this process is to take advantage of Instagram’s affordable targeted advertising. Simply tap on the “Promotions” button on your account page, choose one of your posts to promote, choose where you’ll want to send people who click on your ad, and then begin building the specific audience that you want your audience to reach. You can build this audience using factors such as age, gender, proximity to your area, and interests. Since the cost of these ads can literally be as low or high as you’d like, they are definitely worth exploring. They may end up connecting your firm with people in your area, that you may not have otherwise been introduced to. Don’t concern yourself so much with how many Instagram followers your firm has, but rather with the amount of engagement your account is getting. Sure having more followers helps with engagement, but having fake accounts following you won’t offer you anything in terms of engagement, so is it really worth wasting your money on? You also don’t want to give Instagram any reason to consider suspending your account. 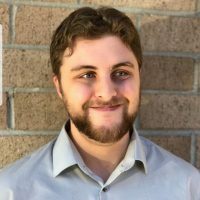 Joe Galotti serves as a content developer at Answering Legal, a 24/7 phone answering service designed specifically for lawyers. He publishes two new blog posts every week, while also helping run an online community called "Let's Talk Legal Marketing". For more advice on growing your firm, follow @joeALmarketing on Twitter.